Be the first to introduce Ambassador to your clients while learning from our team of experts. Sign up here to gain access to content you can post on your website or blog, as well as your custom link you can send to your clients. Once you’ve registered, we’ll email you exclusive content outlining how Ambassador powers referral, affiliate, partner, and influencer programs for brands all over the world. Tell us about clients you would like to introduce Ambassador to or let them discover us through your shared links and content. We’ll track and attribute all referrals to you - after all, it’s what we do. We appreciate our agency partners and will be sure to include you on all our communication with your clients. For every new referred client that signs up for Ambassador, you will earn up to a 20% commission. If you would prefer to apply your commission towards your client’s first annual fee, you may choose to do that as well. Additionally, members may receive client referrals from our sales and success team. "Ambassador is an awesome marketing partner for us. The product is very flexible and does everything we need, plus much more. And Ambassador’s success team is always on top of it; it's great to work with true experts."  Who should join our Agency Partner program? We’re happy to work with small, independent agencies and individual consultants, as well as global firms. The important thing is you have established relationships with the companies you want to introduce to Ambassador. We cannot support agencies looking to add Ambassador to their pitch in an effort to win new clients. What companies are the best for Ambassador? Ambassador allows you to manage all of your relationships — Customer Referrals, Influencers, Affiliates, Partners, etc. — on one platform. Companies best suited for our technology are usually mid-market (50-1000 employees) to enterprise brands (1000+ employees). How and when will commission be paid out? Ambassador uses our integration partner PayPal for all our commission payments, which are paid monthly on the 3rd day of each month (or closest business day). Commissions percentages - or the amount applied towards your client’s first annual agreement - are based on the original contract’s first year annual fees, paid annually. Once you register, you’ll have immediate access to special Ambassador content that you can post on your site, as well as your unique share link. This link can be posted to your social media channels or emailed to your clients, and will redirect them to an Ambassador “Demo Request” page. You will also receive an email containing great content to help you better understand all things Ambassador and Relationship Marketing. There is no limit on how much aggregate commission you can earn. Only net new client referrals are applicable and referrals must be recognized prior to, or at the point in which our sales team engages. This means any referral that is currently engaged in our sales process, or whose parent company or affiliated companies is a current Ambassador client, will not be eligible for a commission, but we are happy to include you in the sales process. If you have further questions, you will be provided an email address in your welcome email in which you can address specific questions to. How do I track my referrals and commissions? Once enrolled, you will have access to a robust partner portal that will allow you to not only share content and submit referrals, but access your personal dashboard of all your referrals and earned commissions. You can login anytime to see the status of your referrals. You will also likely be able to communicate directly with the consultant working with your clients.